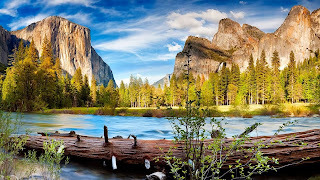 Yosemite National Park is located in the central Sierra Nevada of California and a National Park of USA spanning eastern portions of Tuolumne, Mariposa and Madera counties in the central eastern portion of the U.S. state of California. 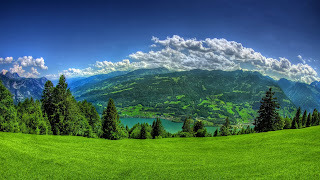 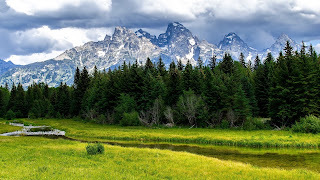 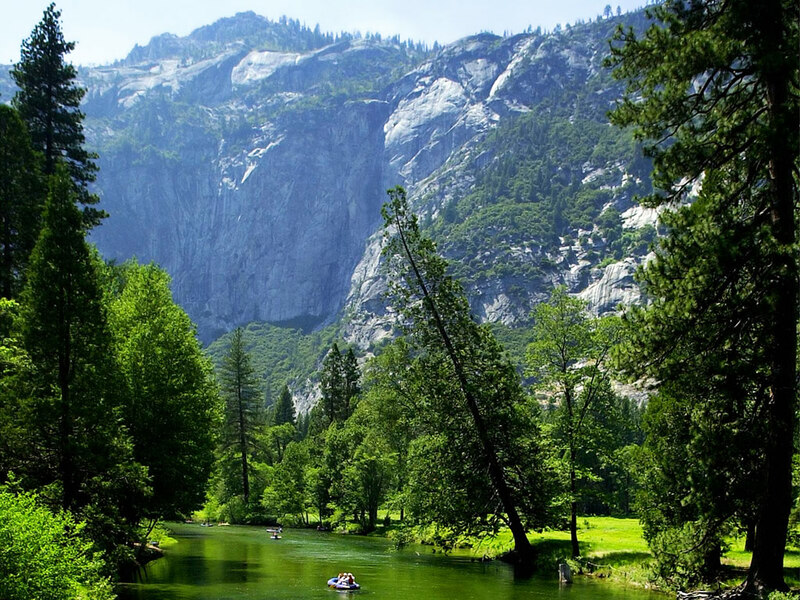 The beautiful park, covers an area of 761,268 acres, managed by the National Park Service, and reaches across the western slopes of the Sierra Nevada mountain chain. 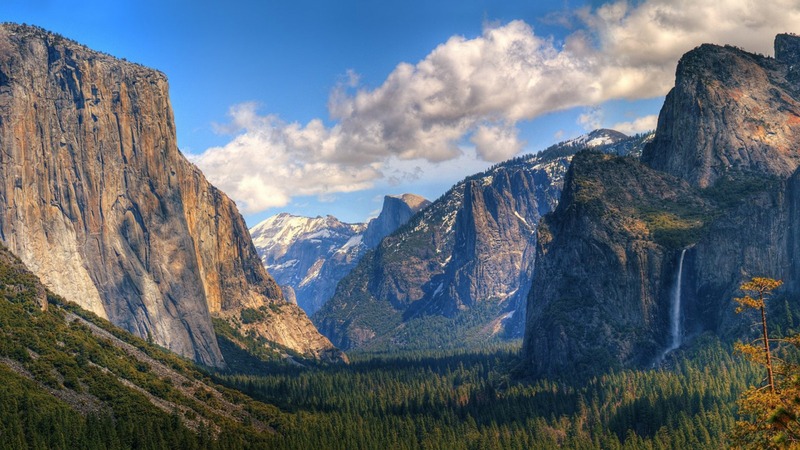 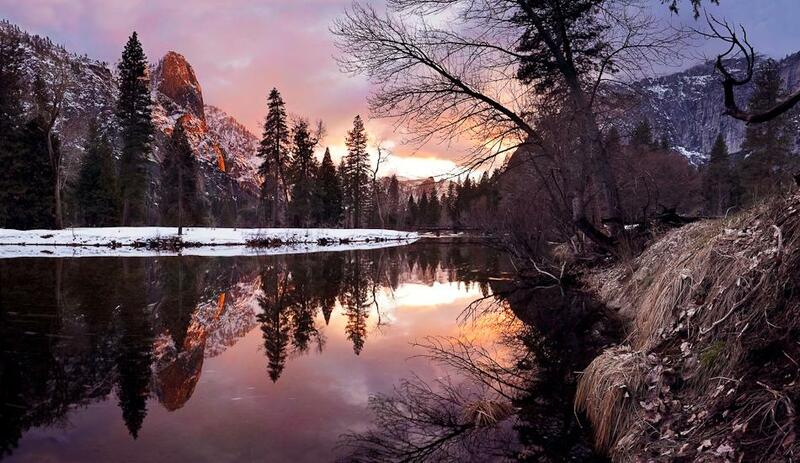 More than 3.7 million tourist visit Yosemite every year. 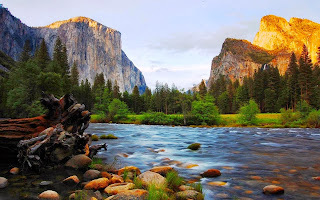 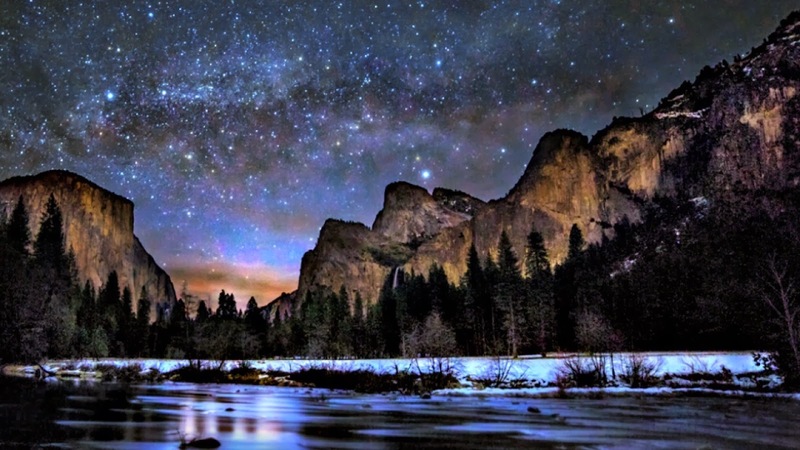 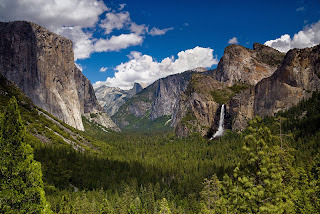 Yosemite National Park is internationally famous for its spectacular granite cliffs, waterfalls, clear streams, Giant Sequoia groves, and biological diversity. Approximately 95% of the Yosemite Park is designated wilderness, and central to the development of the national park idea. Yosemite National Park is one of the largest and least fragmented habitat blocks in the Sierra Nevada, and the park supports a variety of plants and animals. 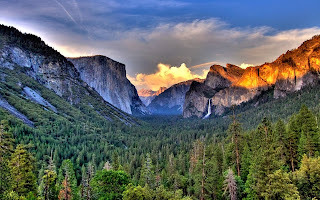 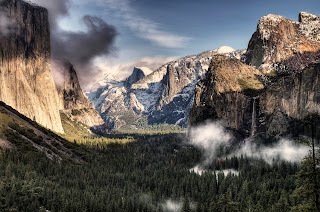 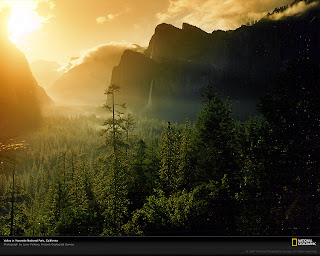 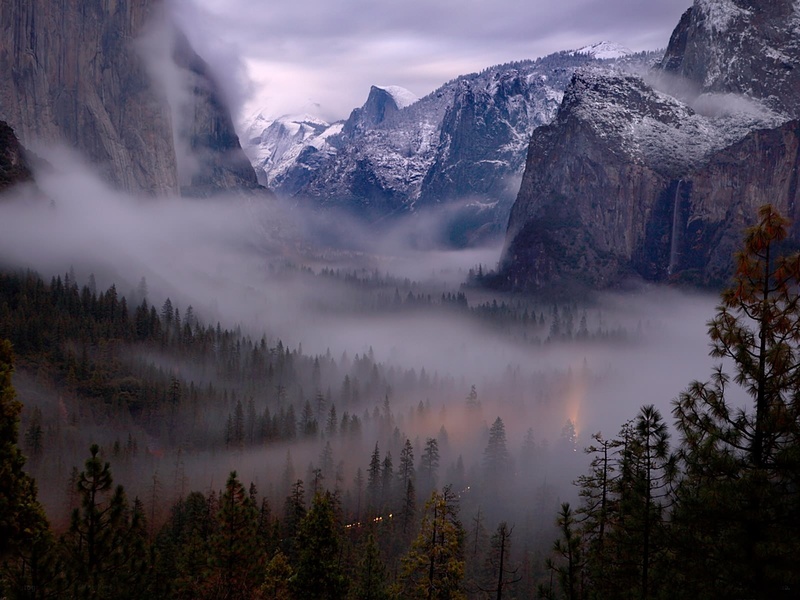 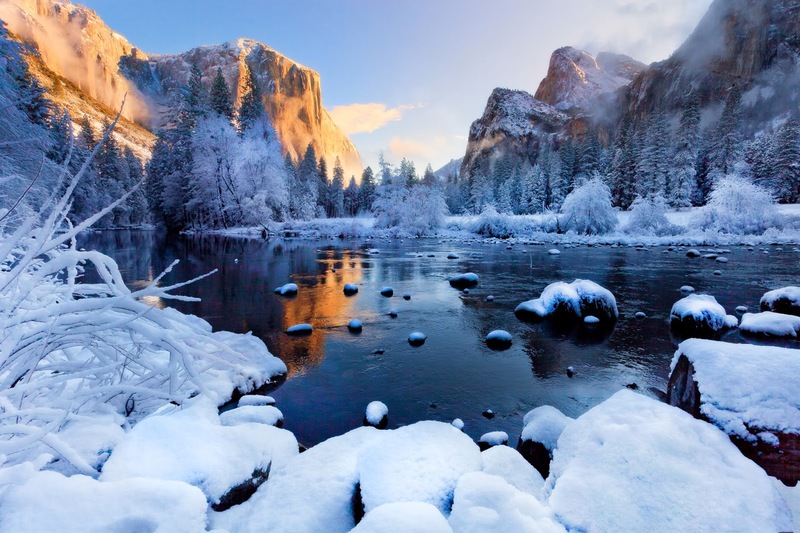 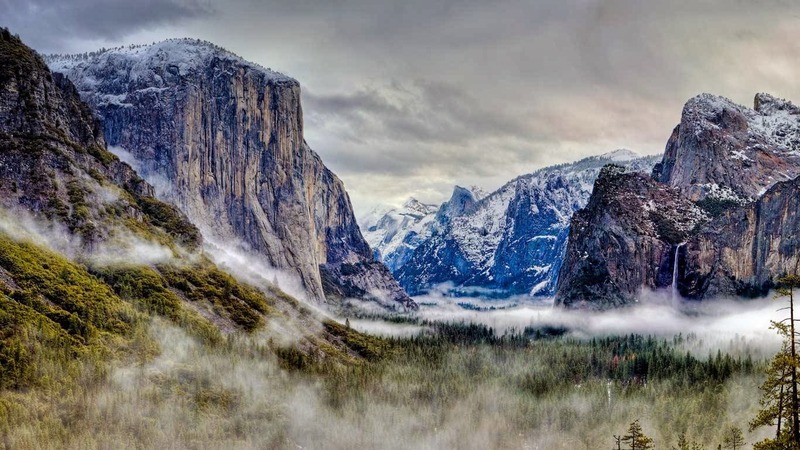 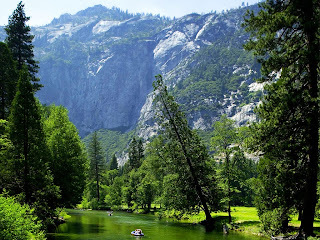 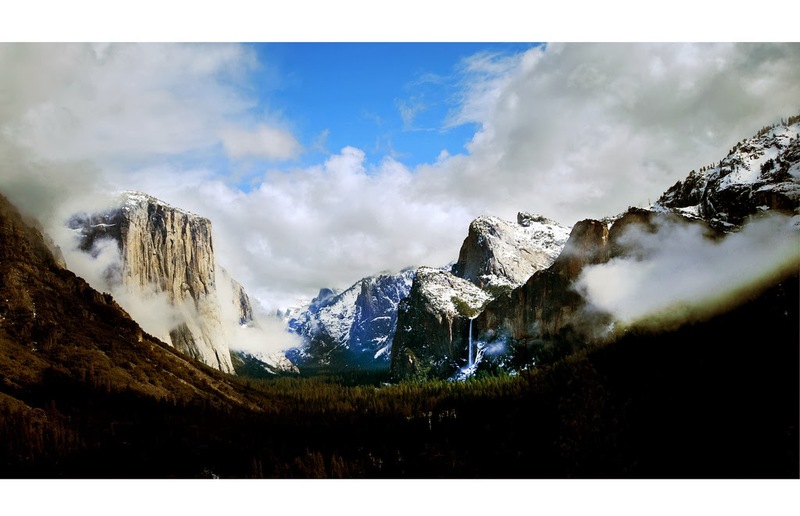 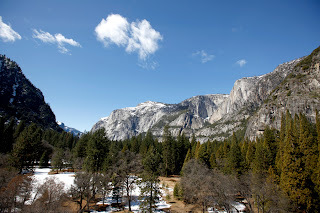 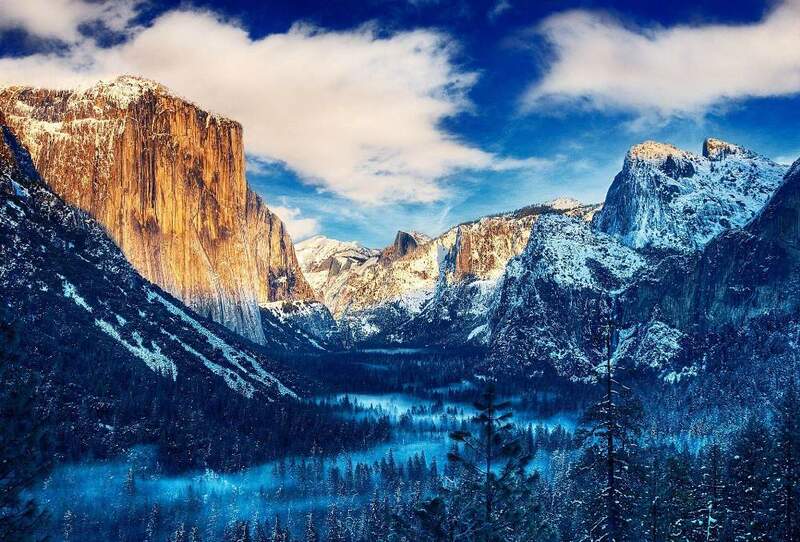 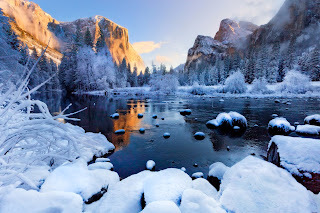 The stunning Yosemite National Park has an elevation range from 2,127 to 13,114 feet and contains five major vegetation zones: chaparral/oak woodland, lower montane forest, upper montane forest, subalpine zone, and alpine. 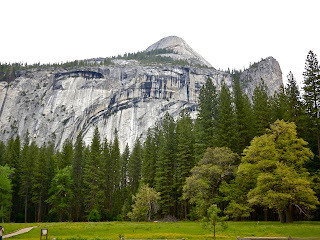 There is appropriate habitat or documentation for more than 160 rare plants in the park, with rare local geologic formations and exclusive soils characterizing the restricted ranges many of these plants occupy. 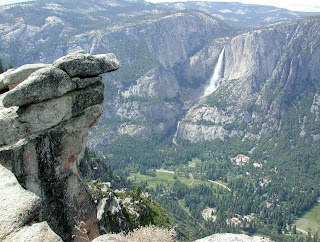 The Yosemite Park geology is characterized by granitic rocks and remnants of older rock. 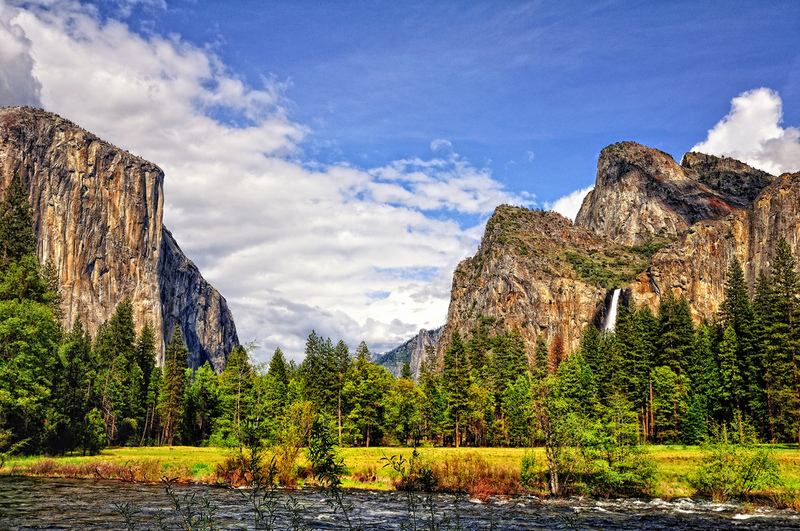 The National Park Service was formed in 1916, and Yosemite was transferred to that agency's jurisdiction. Automobiles began to enter the park in rising numbers following the construction of all-weather highways to the park. 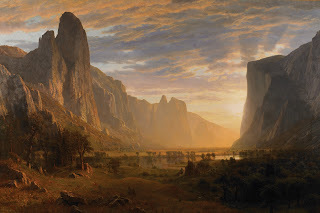 Moreover; the Yosemite Museum was founded in 1926 through the efforts of Ansel Franklin Hall. 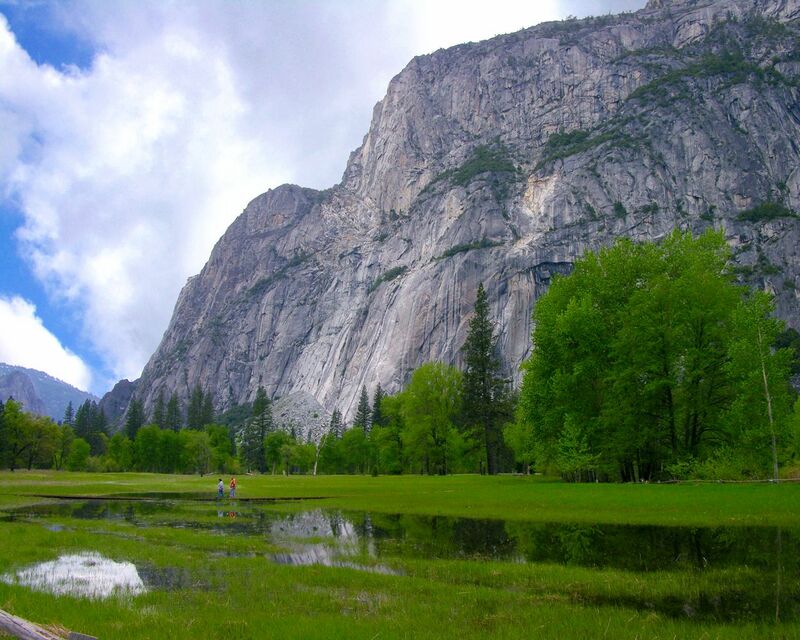 In 1903 a dam was proposed in Hetch Hetchy Valley to provide water and hydroelectric power to San Franciso. 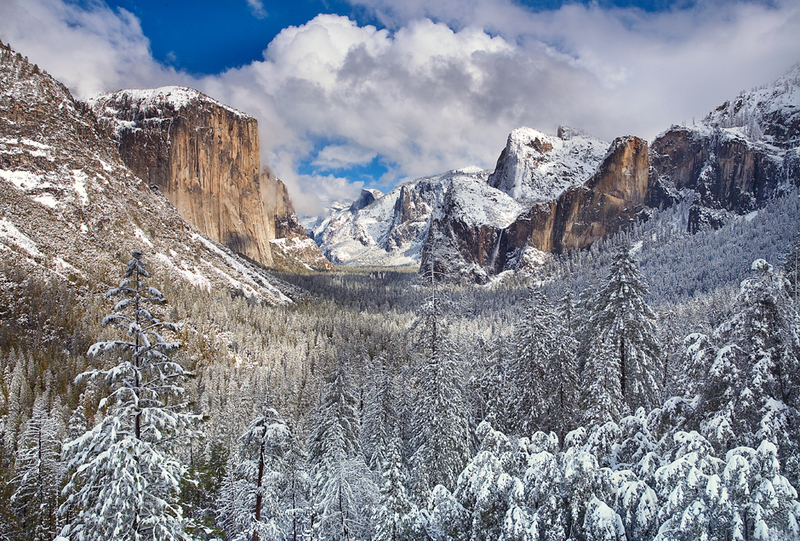 Currently preservationists convinced Congress to designate 677,600 acres or about 89% of the park, as the Yosemite Wilderness a highly protected wilderness area. 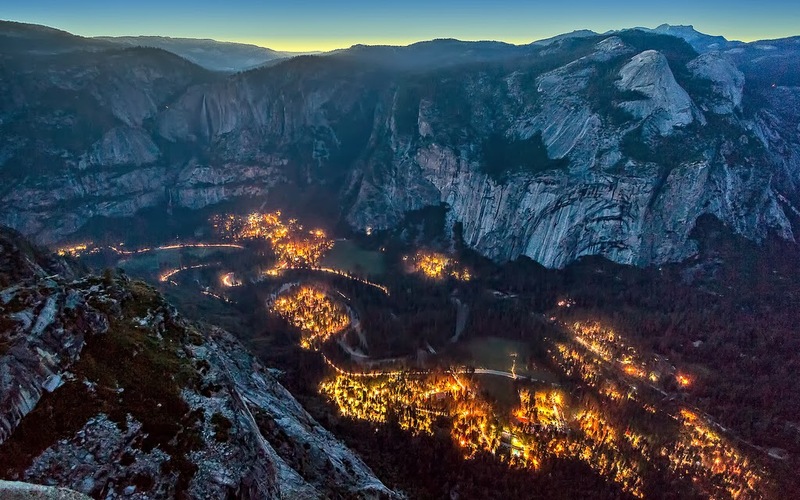 The Park Service has reduced artificial inducements to visit the park, such as the Firefall, in which red-hot embers were pushed off a cliff near Glacier Point at night. 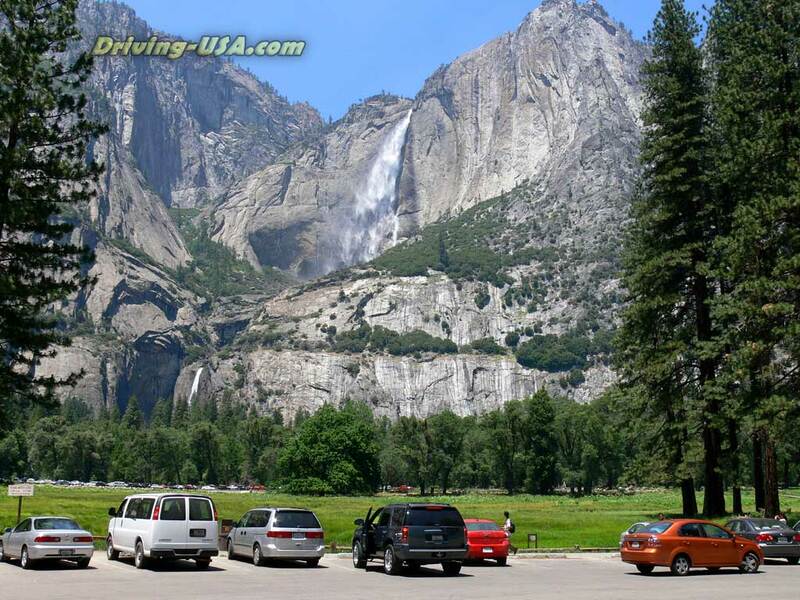 In summer traffic congestion becomes a major concern, and two electric buses commenced service in September 1995. 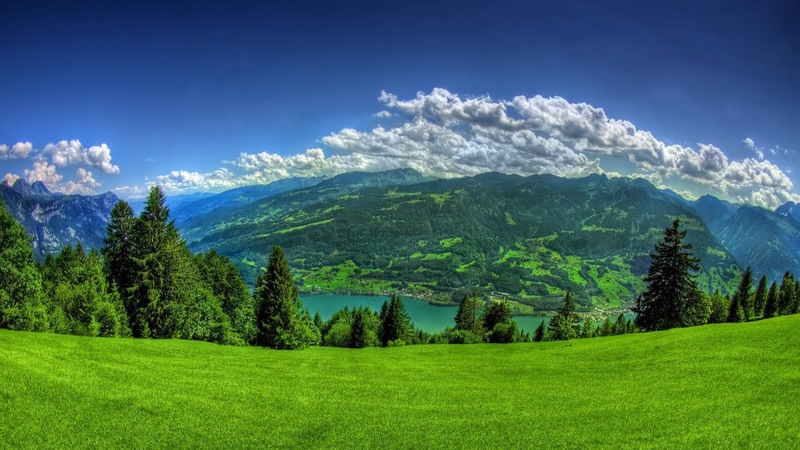 The buses are quiet and do not emit pollutants. 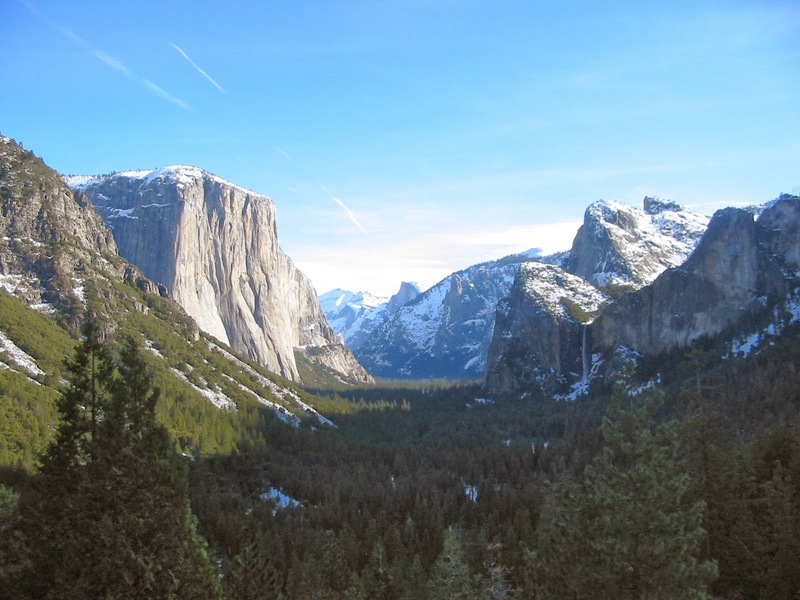 Eventually, all the buses in Yosemite will be electric. 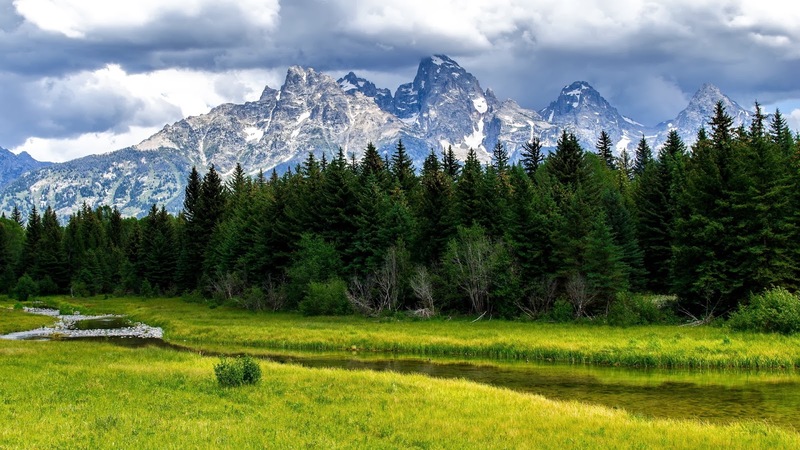 The 3,080 km2 park is approximately the size of the U.S. state of Rhode Island and contains thousands of lakes and ponds, 2600 km of streams, 1300 km of hiking trails, and 560 km of roads. Two federally designated Wild and Scenic Rivers, the Merced and the Tuolumne, start within Yosemite's borders and flow westward through the Sierra foothills, into the Central Valley of California. Annual park visitation exceeds 3.5 million, with most visitor use concentrated in the seven-square mile area of Yosemite Valley. 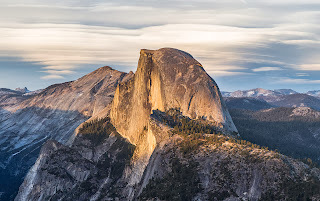 Approximately all of the landforms in the Yosemite vicinity are cut from the granitic rock of the Sierra Nevada Batholith are a large mass of intrusive igneous rock that formed deep below the surface. 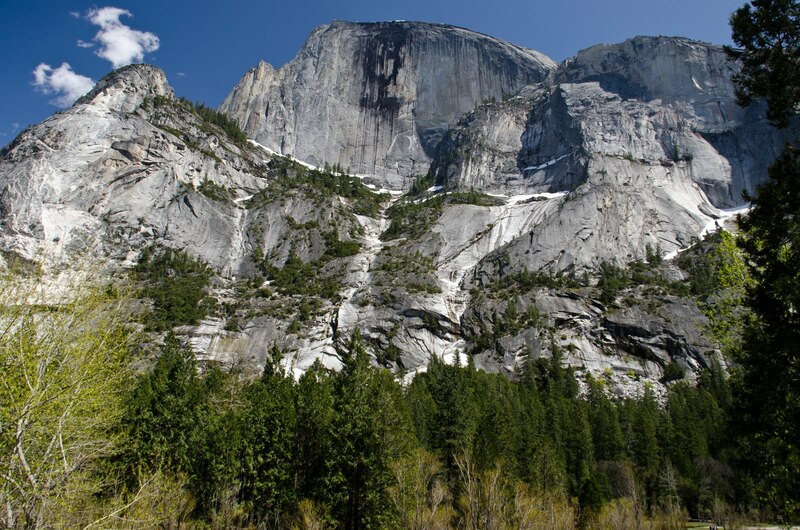 About 5% of the park's landforms are metamorphosed volcanic and sedimentary rocks. These rocks are called roof pendants because they were once the roof of the underlying granitic rock. Yosemite Valley Tunnel View is the first sight of the Valley for many visitors and is widely photographed. 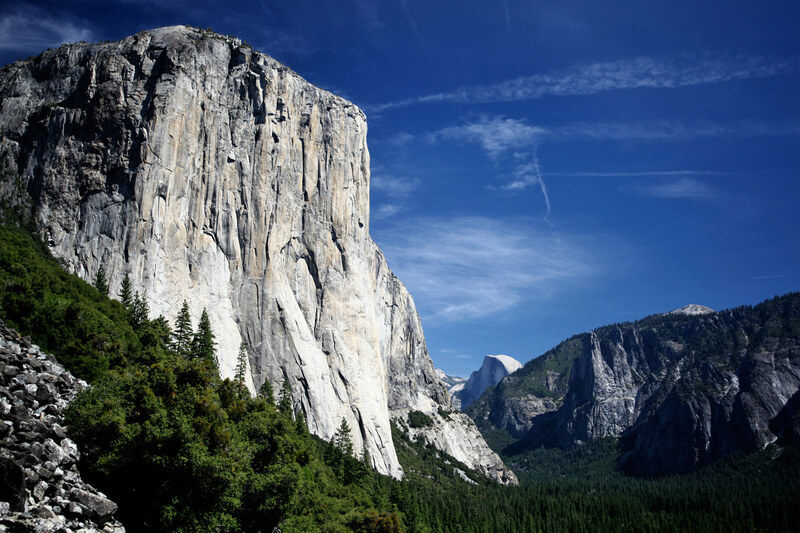 El Capitan, a prominent granite cliff that looms over Yosemite Valley, is one of the most well-liked rock climbing destinations in the world because of its diverse range of climbing routes in addition to its year-round accessibility. 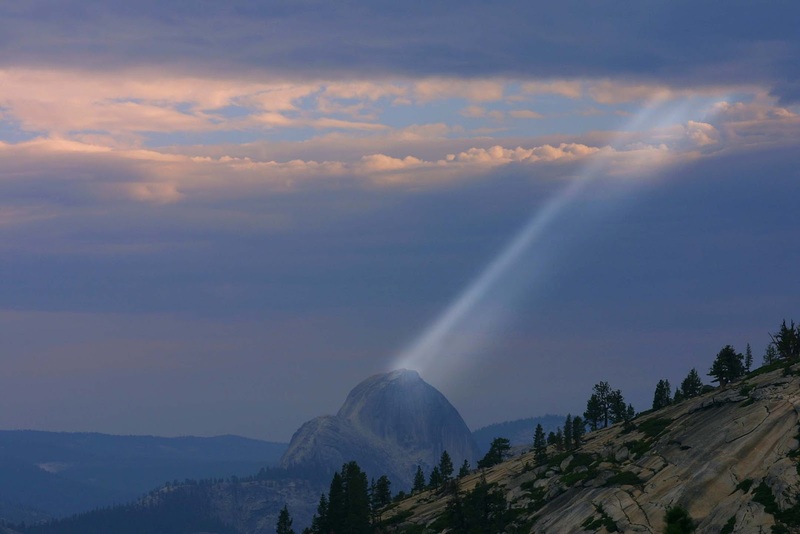 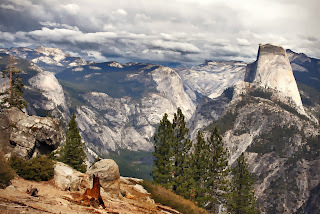 Granite domes such as Sentinel Dome and Half Dome rise 3,000 and 4,800 feet, respectively, above the valley floor. 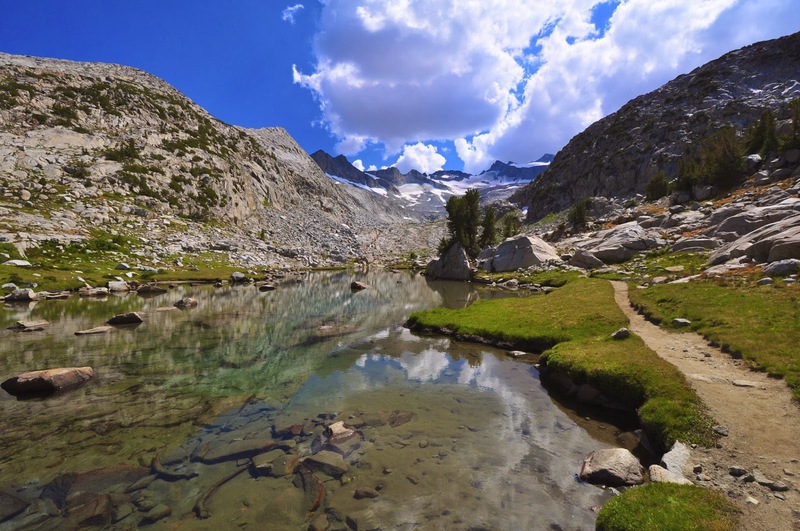 The Lyell Glacier is the largest glacier in Park and is one of the few remaining in the Sierra Nevada today. The high country of Yosemite contains beautiful areas such as Tuolumne Meadows, Dana Meadows, the Clark Range, the Cathedral Range, and the Kuna Crest. The Sierra crest and the Pacific Crest Trail run through Yosemite, with peaks of red metamorphic rock, such as Mount Dana and Mount Gibbs, and granite peaks, such as Mount Conness. 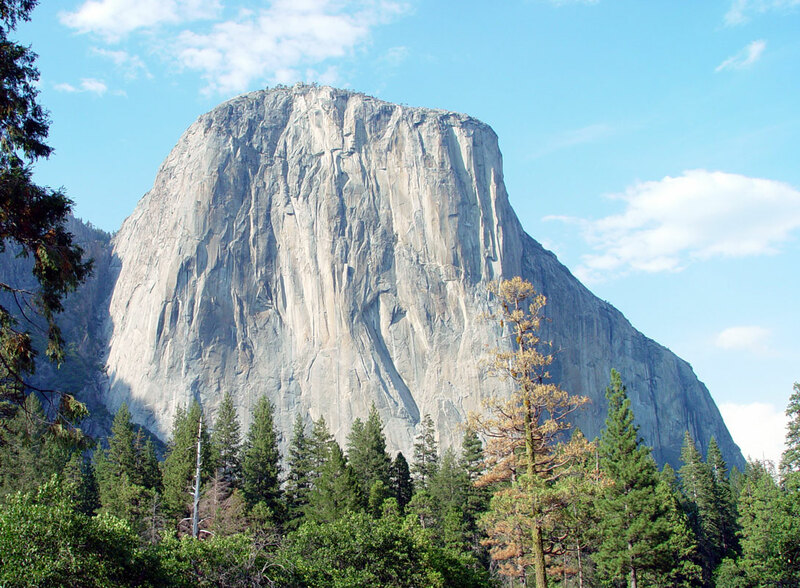 Mount Lyell is the highest point in the park, standing at 13,120 ft. 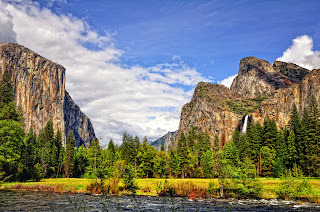 The park has three groves of ancient Giant Sequoia trees; the Mariposa Grove the Tuolumne Grove, and the Merced Grove. 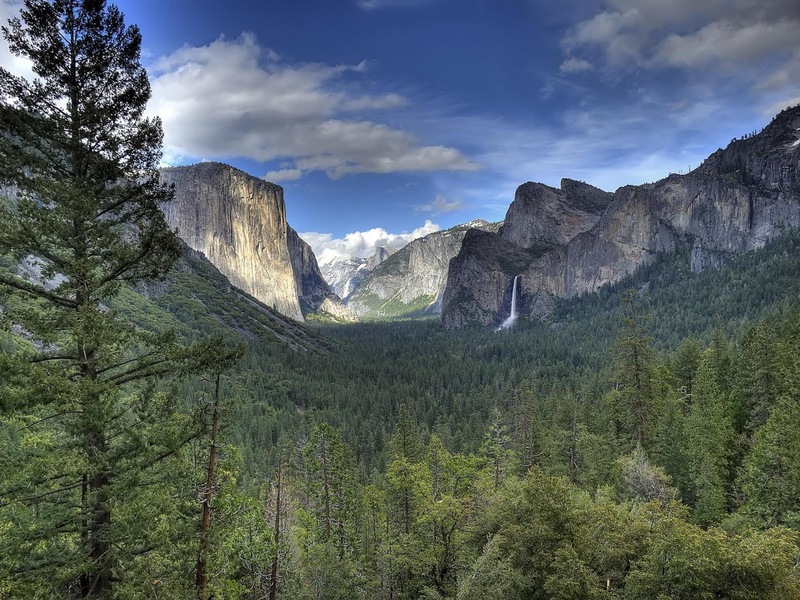 This species grows larger in volume than any other and is one of the tallest and longest-lived. 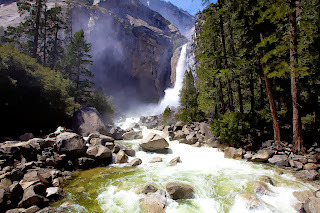 Yosemite is famed for its high concentration of waterfalls in a undersized area. Numerous sheer drops, glacial steps and hanging valleys in the park provide many places for waterfalls to exist, especially during April, May, and June. 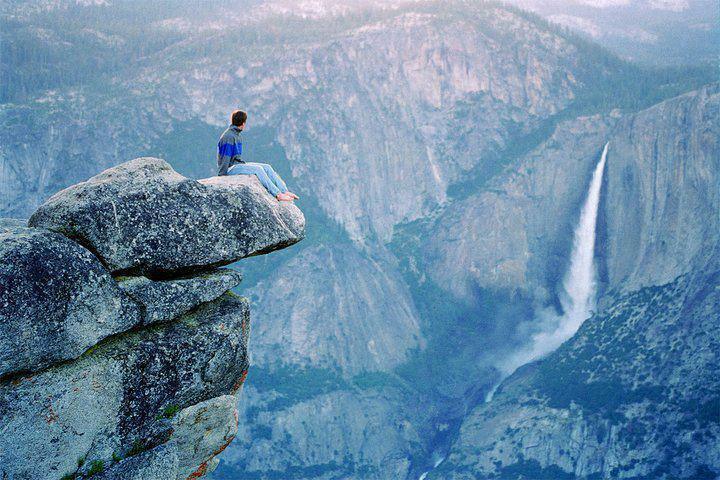 The Yosemite Falls is the highest in North America at 2,425-foot. 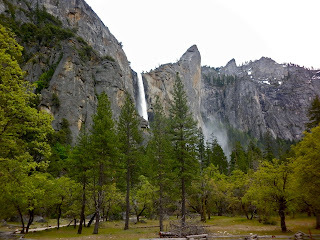 Also in Yosemite Valley is the much lower volume Ribbon Falls, which has the highest single vertical drop, 1,612 feet, maybe the most famous of the Yosemite Valley waterfalls is Bridalveil Fall, which is the waterfall seen from the Tunnel View viewpoint at the east end of the Wawona Tunnel. 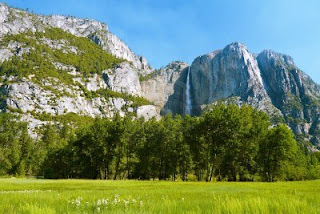 Wapama Falls in Hetch Hetchy Valley is another notable waterfall. Hundreds of ephemeral waterfalls also exist in the park. 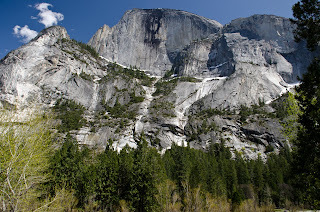 All glaciers in the park are relatively small glaciers that occupy areas that are in almost permanent shade, such as north- and northeast-facing cirques. 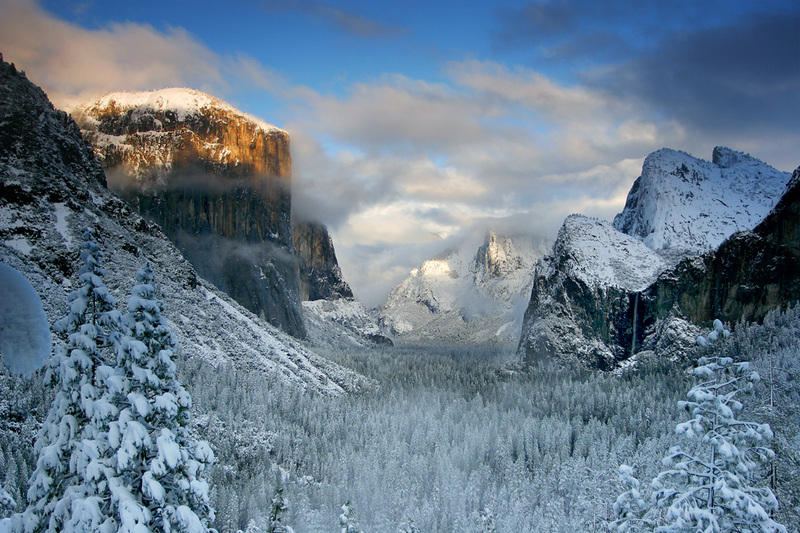 Climate change has reduced the number and size of glaciers around the world. Several Yosemite glaciers, including Merced Glacier, which was discovered by John Muir in 1871 and bolstered his glacial origins theory of the Yosemite area, have disappeared and most of the others have lost up to 75% of their surface area.